Product prices and availability are accurate as of 2019-04-15 22:25:36 UTC and are subject to change. Any price and availability information displayed on http://www.amazon.com/ at the time of purchase will apply to the purchase of this product. 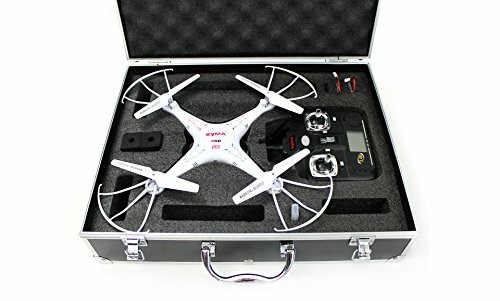 The X5C-1 2015 Version with carrying case ($35 value) and extra battery ($10 value) is the newest camera quad released by Syma. Equipped with an 2 MP HD camera (that can be attached or detached) the X5C blends style, function, and fun along with the reliability and quality that Syma is acclaimed for. Each quad comes with optional prop guard that is easily removable for an enhanced flight experience or attached for protection. 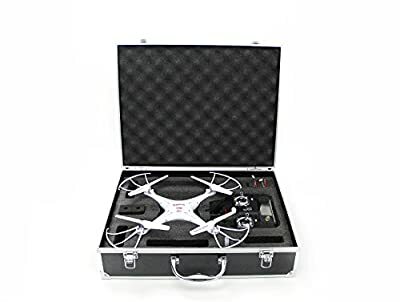 1 x Syma X5C-1 RC Quad Copter with 2 MP HD Camera and SD Card with foam fitting carrying case (original packaging box is taken out, only case included as packaging).